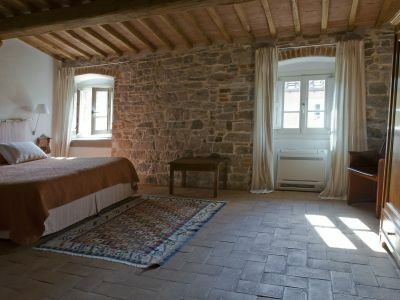 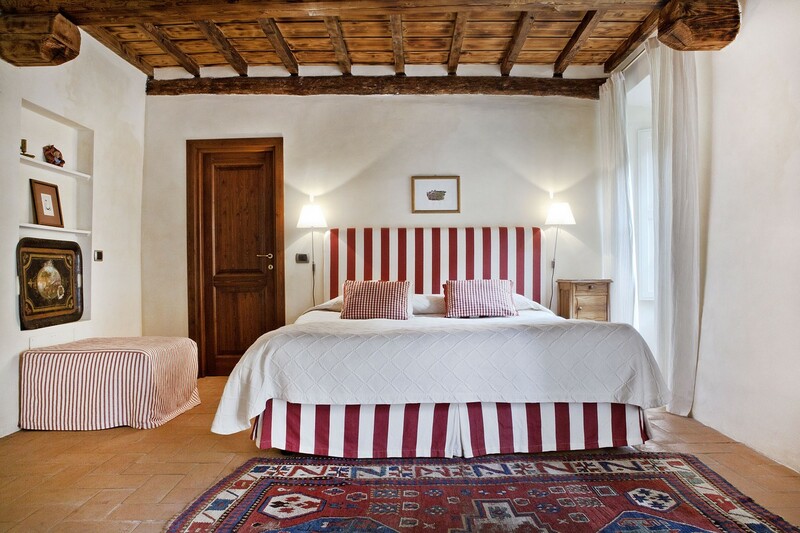 At the heart of the farmhouse at Villa di Campolungo is a quaint courtyard. 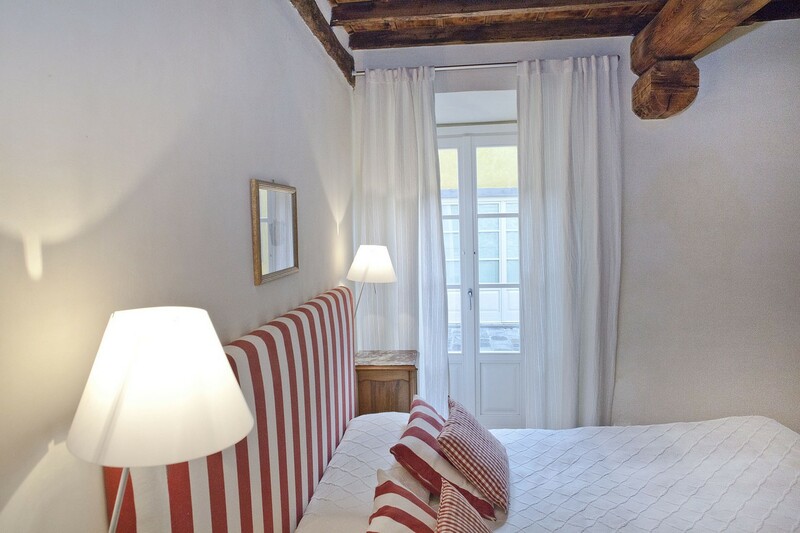 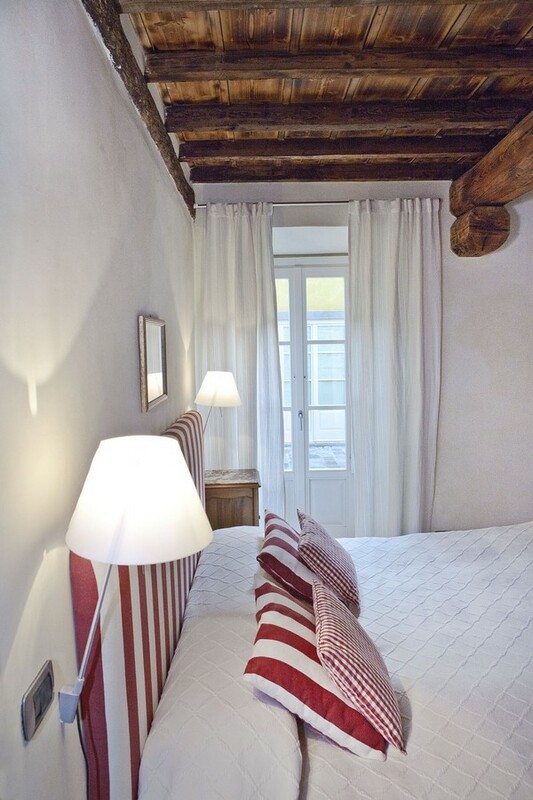 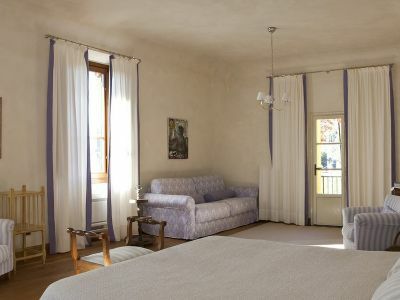 The room is cosy and intimate, and perfect for a couple. 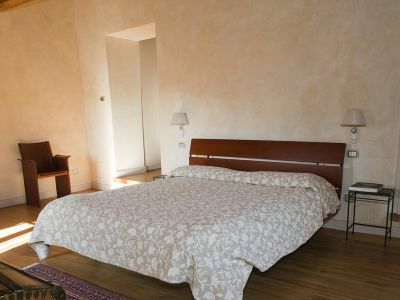 An additional bed and/or cot can be added according to your requirements. 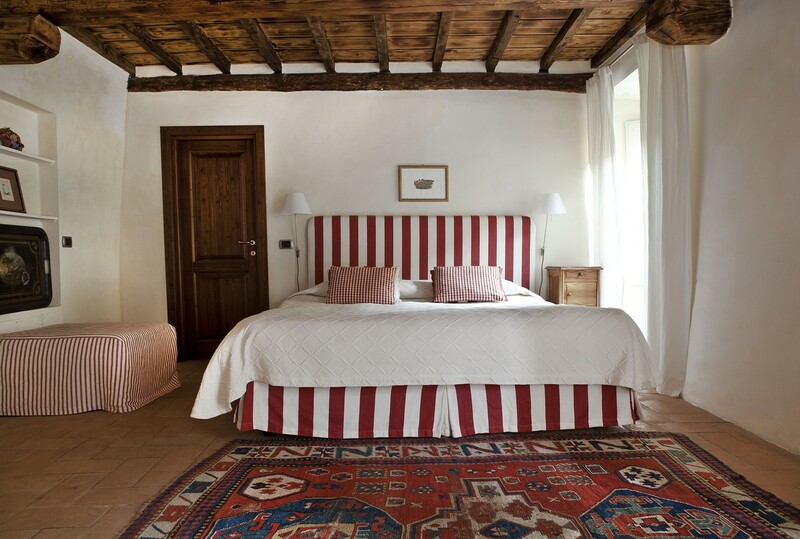 The fine fabrics come from an Italian company Busatti, which continues to hand weave its woven with shuttle looms. 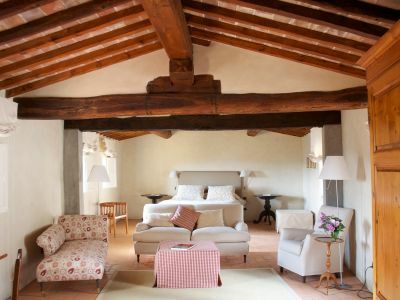 The colours compliment the terracotta flooring, wooden beams and stone walls, making this this a traditional cosy Tuscan room. 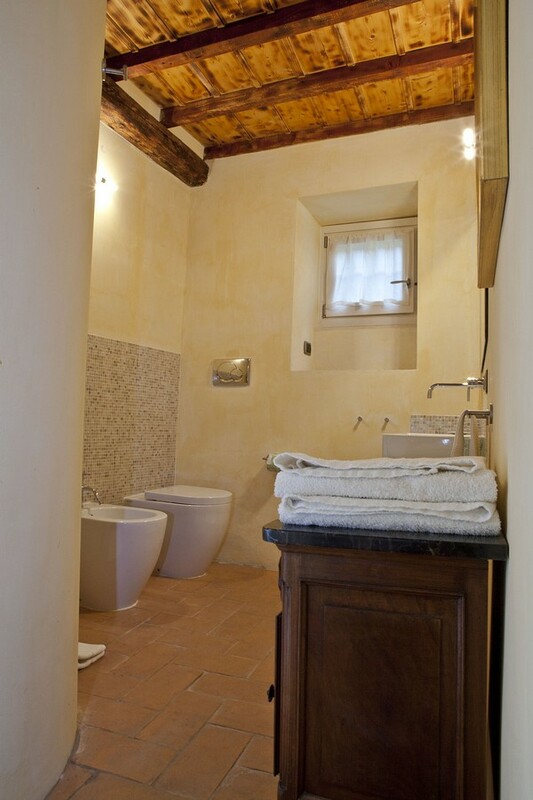 The bathroom has two sinks, set with mosaic surrounds and towel warmers are added for your comfort and convenience. 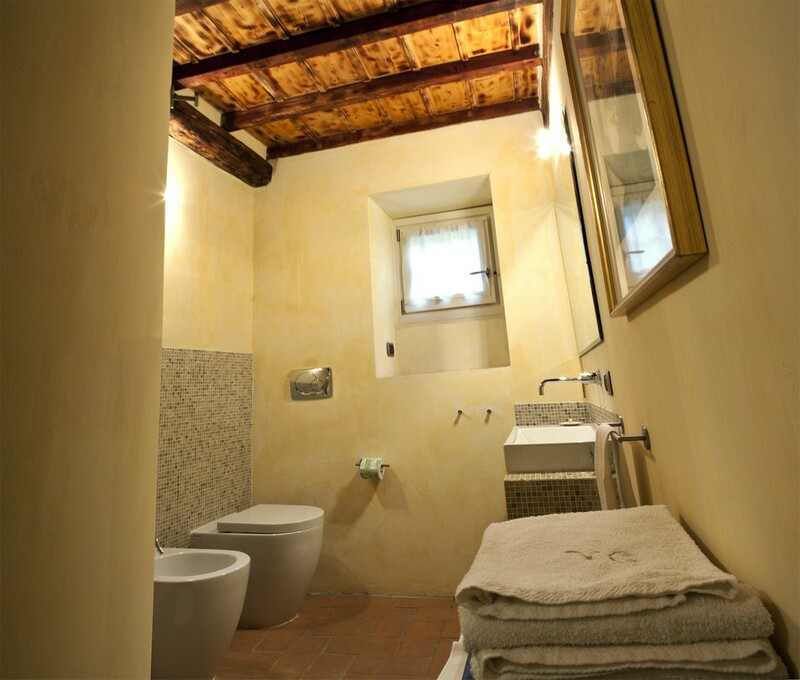 It has a circular shaped shower, which adds character and charm to a very comfortable room. 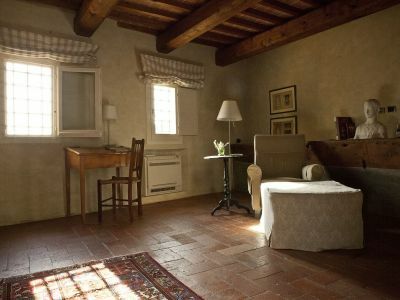 You will find complimentary homemade natural soap and samples of our extra virgin olive oil.